Album Available Now: http://www.cdbaby.com/cd/atlasmaior3 During a two-month recording process at Bell Tree Recording Studio in Austin, TX during Summer 2013, Atlas Maior experimented with a variety of instrumental and sonic arrangements, exploring different methods of improvisation and cosmologies of sound. Many of these exercises explored themes of symmetries in sound through different instrumental arrangements. 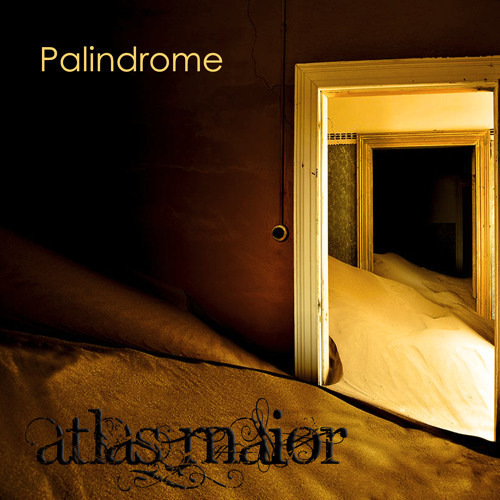 The result of these sessions is Palindrome, Atlas Maior's 2014 two-disc album comprised entirely of live improvised material from these studio sessions. The album also features instrumentalist and recording engineer Gary Calhoun James (upright bass, harmonium) and special guests Sari Andoni ('ud) and Bob Hoffnar (Pedal Steel). The release of Palindrome caps off an exciting year of growth for Atlas Maior, which included an international tour in Turkey and Spain, placement of a track from Palindrome in Marrakesh, Morocco's 5th Biennial Art Festival, and a proclamation by Austin's City Council of Atlas Maior Day on March 27, 2014. Band Members: Charlie Lockwood - oud, skateboard (Disc 2, Track 5) Joshua Thomson - alto saxophone, hulusi (Disc 1 Track 3, Disc 2 Tracks 5 & 6) Ted Camat - drum set, percussion, tamborim, mbira (Disc 2 Track 6) Guest Artists: Sari Andoni - oud (Disc 1 Track 5) Bob Hoffnar - pedal steel guitar (Disc 1 Track 7, Disc 2 Track 7) Gary Calhoun James - double bass, harmonium (Disc 2 Track 5) Palindrome was completely improvised and recorded live with no overdubs. All tracks recorded live at Bell Tree Studio in Austin, Texas by Gary Calhoun James. Mixed and mastered by Gary Calhoun James at Bell Tree Studio. Produced by Charles Lockwood and Joshua Thomson Art design and layout by Benson Roberts III ℗ & © 2014 by Atlas Maior. All rights reserved.